Dark amber color. 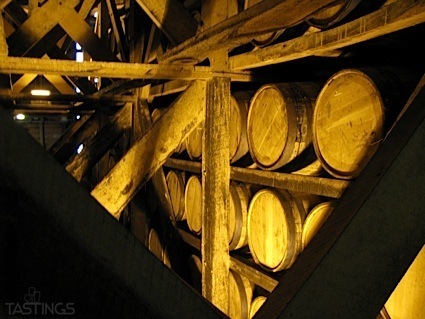 Attractive aromas and flavors of cherry cola, fine cigars, banana candy, black tea, roasted almond and cashews, and pistachio confection with a round, racy, dry-yet-fruity medium-to-full body and a hot, medium-length finish with notes of molasses and carob finish. A very bright expression from Taiwan with plenty of tingle. Bottom Line: A very bright expression from Taiwan with plenty of tingle. 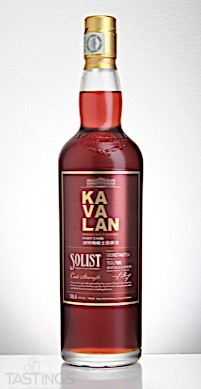 Kavalan Solist Port Single Cask Strength Single Malt Whisky rating was calculated by tastings.com to be 95 points out of 100 on 7/27/2018. Please note that MSRP may have changed since the date of our review.